Professional limbo kit with 8 levels (1.3m to 320mm). Fully collapsable into the Free Storage Bag. Offer price of £99.95 + shipping (UK & USA). Limbo By Design has been designed to pack away into a small bag but still be rugged enough to withstand the use of DJ's and entertainers on the road. All tubes are protected by rubber and plastic end caps to ensure a robust and lasting product. 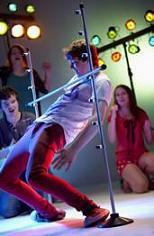 Limbo By Design has been proven on the road for more than 12 months at many parties by Jade Entertainment. Rugged enough to withstand the knocks and mishaps on the road our prototype is still being used today. Welcome to Entertainment By Design, a design and manufacturing company of bespoke products for schools, youth clubs and the entertainment industry. With over 25 years experience in the entertainment industry as DJ's and entertainers we have identified a unique market for products we now design and manufacture. Our product portfolio currently includes a professional limbo set including the limbo pole, limbo bar and bases; designed to withstand the knocks and mishaps of being transported by the mobile entertainer. Ideal for limbo parties, Hawaiian or Caribbean themed parties, children's parties, youth clubs and schools. 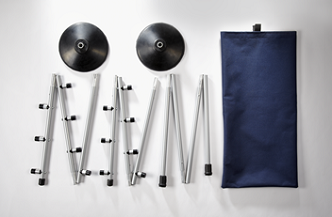 For a limited period the Professional Limbo Set is being offered at £99.95 with a Free Storage/Carry Bag. Further product information and pictures can be viewed on the relevant page. We manufacture in the UK with all parts sourced from UK distributers and assembled locally in West Yorkshire. Currently 50% of the limbo kit sales are shipped to the USA, with the UK and Ireland at 49%. 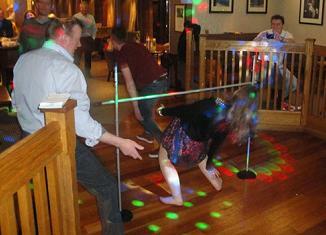 Over the last year the limbo pole, limbo bar and limbo bases have had small re-designs as feedback from owners have come in. Limbo Set Limbo Game Limbo Poles Limbo Kit Limbo Party Limbo Kit with Bases.